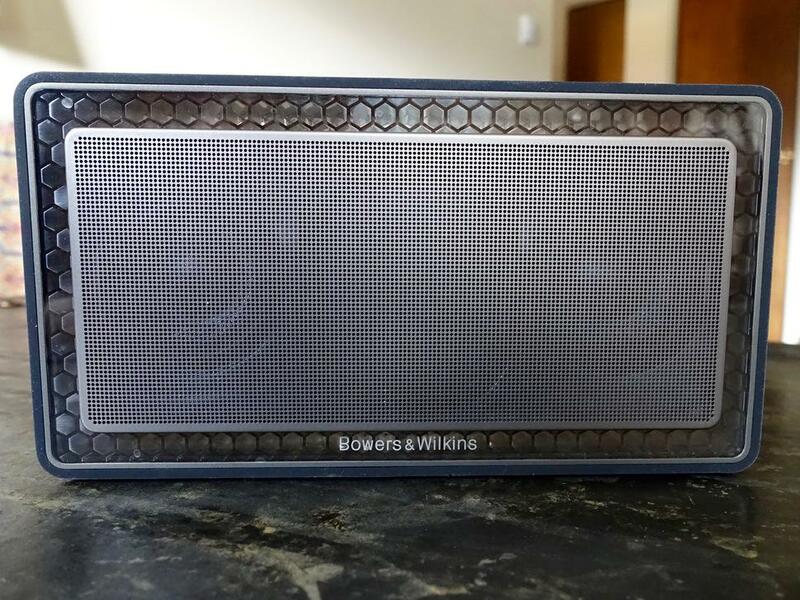 Few Bluetooth speakers sound or look as good as the T7 Portable Wireless Speaker, but it has some flaws. The Bowers & Wilkins brand has always been synonymous with premium quality speakers that cost as much as a three-day Las Vegas bender. 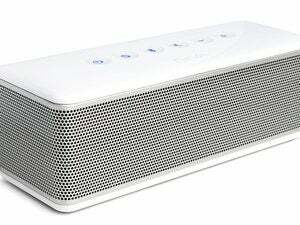 The T7 Portable Wireless Speaker ($350 on Amazon) is the cheapest speaker they make. It’s still expensive, but for the most part, you get what you pay for. Sized at 4.4 x 8.25 x 2.15 inches and weighing in at just over two pounds, The T7’s on the cusp of what I’d consider portable. But its build and audio quality make it easy to see past its size and heft. The T7 is a hunka hunka burning industrial design. There’s no getting past the fact that the T7 is a handsome piece of hardware. The speaker is housed, front and back, by perforated metal grills with a puncture pattern tight enough to hide its guts from the outside world. 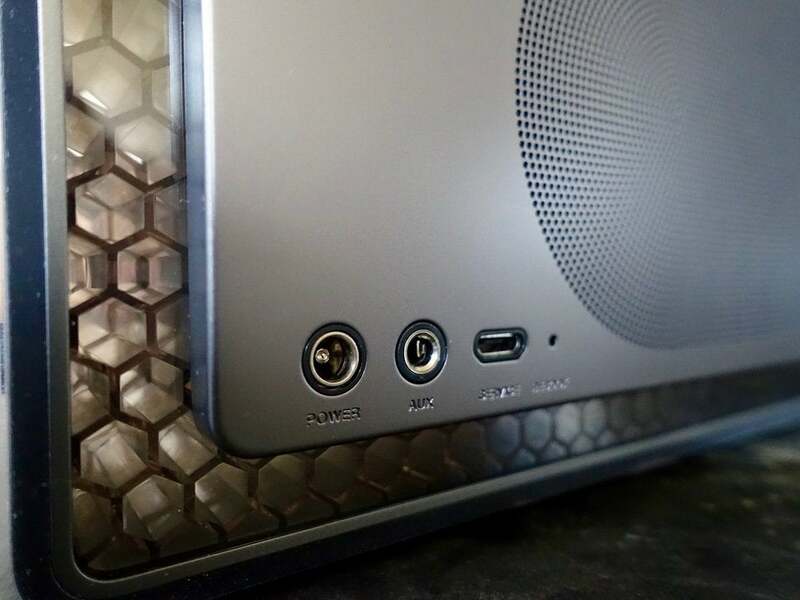 These grills, along with the T7’s hidden drivers, battery, and other electronics are suspended in a honeycombed layer of clear acrylic which serves as a shock absorber to reduce speaker vibration. All of this is wrapped in a swath of matte black silicone. The T7’s controls are clearly labelled and easy to use. On top of the speaker, you’ll find the T7’s Bluetooth pairing button, volume controls, and a play/pause button that also lets you skip back and forth through tracks with two or three button presses, just like you would with the remote on a set of iOS-compatible headphones. 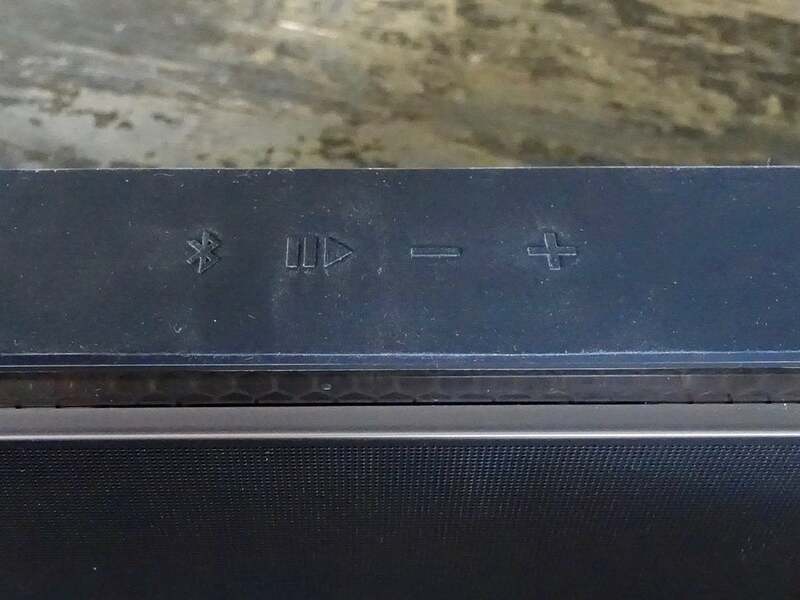 The T7’s power button and battery level indicator are located on the right side of the speaker housing. Bowers & Wilkins claims the speaker will provide up to 18 hours of music on a single charge. This of course will vary, depending on how loud you like to listen to your tunes. I’ve found, after a few weeks of use, that I’m able to go 12 to 13 hours between charges. Pairing the T7 via Bluetooth proved easy, with both Android and iOS hardware: a series of audio tones will let you know when it’s ready to pair, connected, or shutting down. No Bluetooth? No problem: the speaker also comes equipped with a 3.5mm auxiliary input. Of course, none of how the T7 is designed matters if it doesn’t sound good. And it does—mostly. How you’ll feel about it depends heavily on what kind of music you enjoy and how loud you like it to be. At low to medium volumes, the T7’s two passive bass radiators and dual 2-inch drivers (powered by a pair of 12-watt amplifiers) produce clean, clear highs with a very respectable amount low and mid-frequency sound. Listening to The Afro Celt Soundsystem’s “Shadowman,” I noted that the unyielding thump of the band’s intimidatingly large percussion section was clearly defined, yet nothing from the wail of the band’s penny whistle, flute, or vocals were lost. Getting an earful of Guy Clark’s “Hemingway’s Whiskey” was just as pleasant. The T7 brought out the full-bodied sound of Clark’s steel stringed acoustic guitar and the three-pack-a-day rasp of his voice in such as way that made the speaker seem worth its price. However, I was less impressed with the T7’s sound at higher volumes. 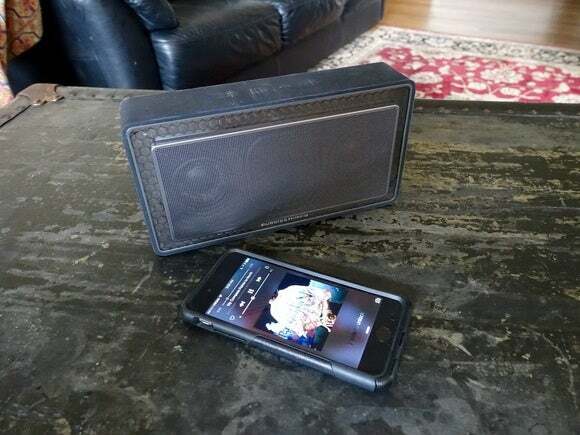 While there was no hint of the distortion I’d usually associate with blasting music on a Bluetooth speaker of this size, the music had taken on a more filtered sound and lost some of the tonal warmth that I noted at lower listening levels. 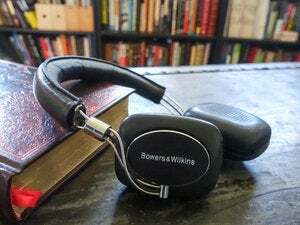 Despite the Bowers & Wilkins T7’s great sound and good looks, it’s not perfect. Let’s get my biggest gripe with this thing out of the way first. To charge the T7, you’re forced to use a proprietary wall wart. Given its steep price and the fact that less expensive speakers such as the UE Boom 2 ($200 on Amazon) or Bose Soundlink Mini II ($199 on Amazon) are charged via a far more portable and universally available USB cable, it’s a disappointing design decision to say the least. 2012 called: They’d like their clunky AC adapter back. Then there’s the matte silicone band that surrounds the speaker housing. It looks great, but it’s difficult to keep dust and smudge-free (Take a look at the photos I took while reviewing the hardware and you’ll see what I mean). If you’re a neat-freak like me, it’s big enough a deal to develop an eye-twitch over. Some might complain about the fact that the T7 doesn’t come with a built-in microphone—a feature found in many less expensive speakers. Therefore, it lacks speakerphone functionality. But while nice to have, this feature’s omission doesn’t serve the T7’s raison d’être, and as such, is excusable. Finally, the placement of the T7’s power button, on the lower right side of the speaker, is kind of annoying. In order to turn it off or on, I had to either stabilize the T7 on a tabletop or pick it up. Why they wouldn’t have located it on top of the speaker along with the rest of the T7’s controls is a mystery. 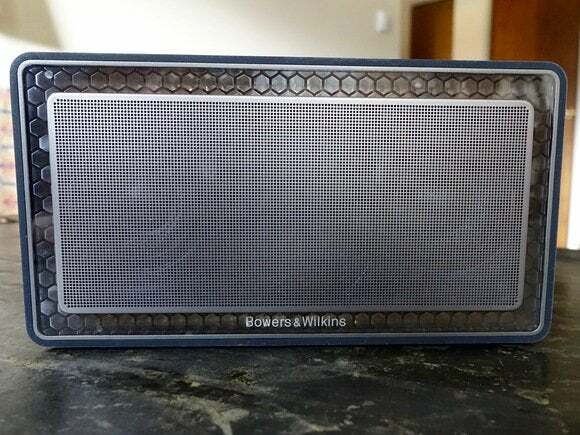 While there is a veritable sea of less expensive Bluetooth speakers out there, few that we’ve encountered sound or look as good as the T7 Portable Wireless Speaker. Were it not for a few design flaws and its quirky audio filtering at higher audio levels, we’d have given it top marks. Bowers & Wilkins T7 has great sound and good looks, but it’s not perfect.